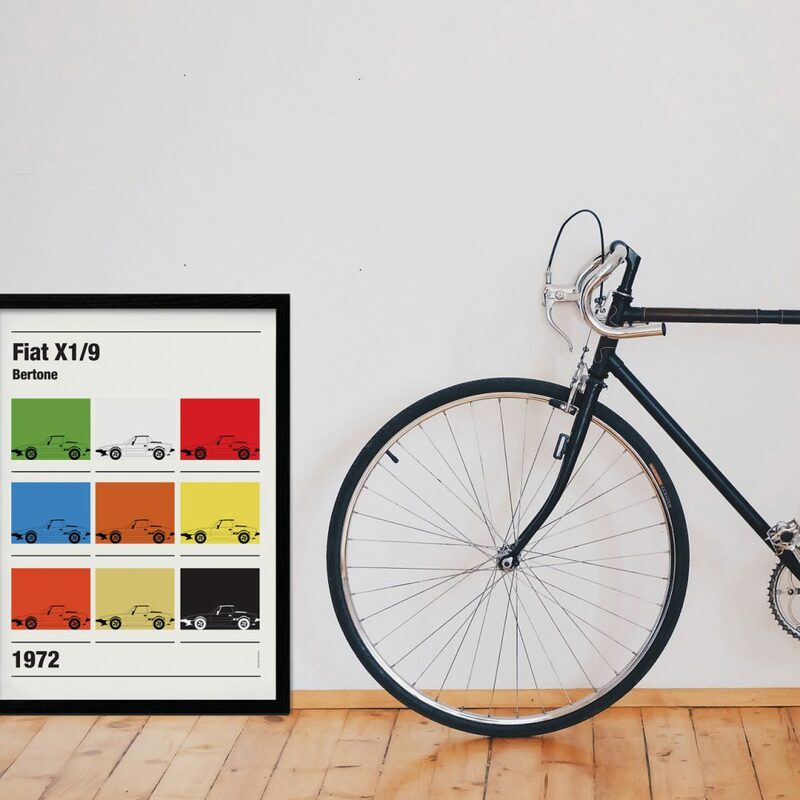 Aiming at simplicity can land you in a number of places, and there’s a big difference between minimalism and those that use the word to hide the fact that ideas were run out of. 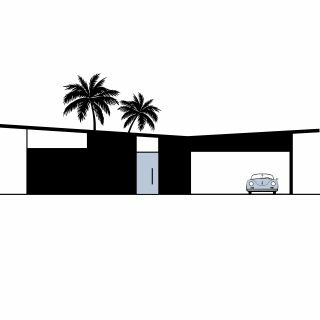 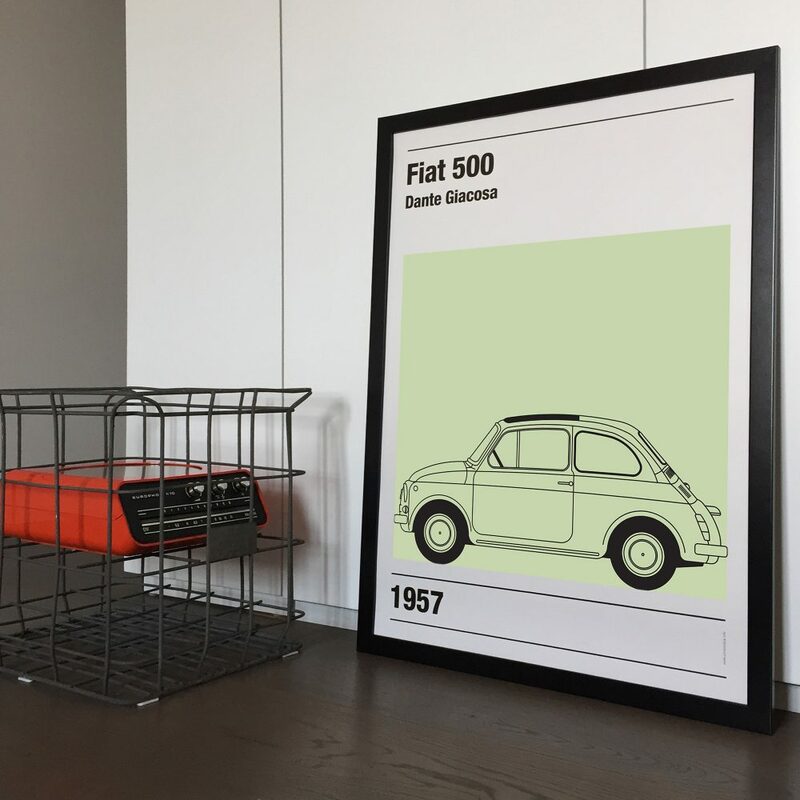 Design doesn’t need to be overwrought with detail and color to make an impact, but at the same time there must be something that separates it from schematics or other utilitarian purpose. 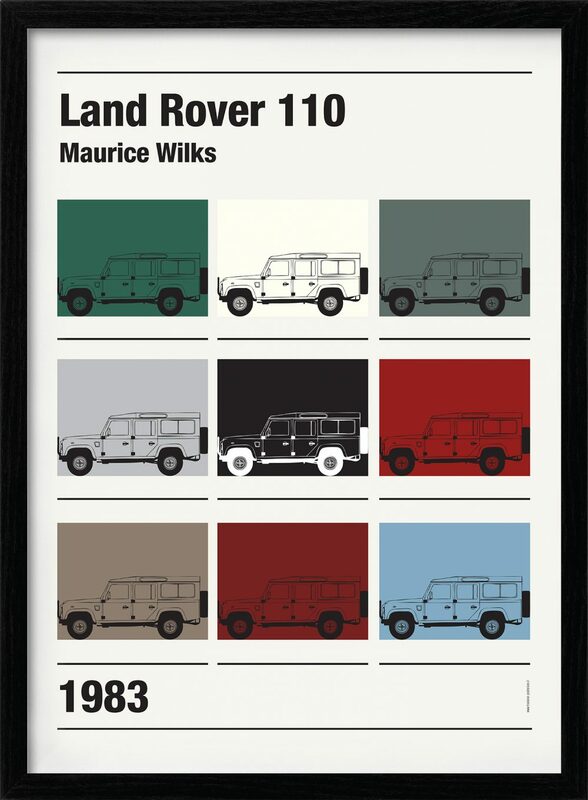 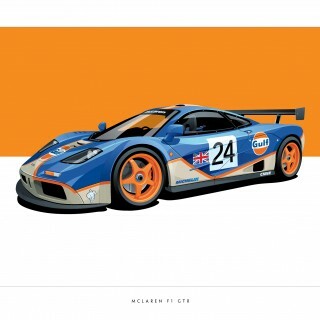 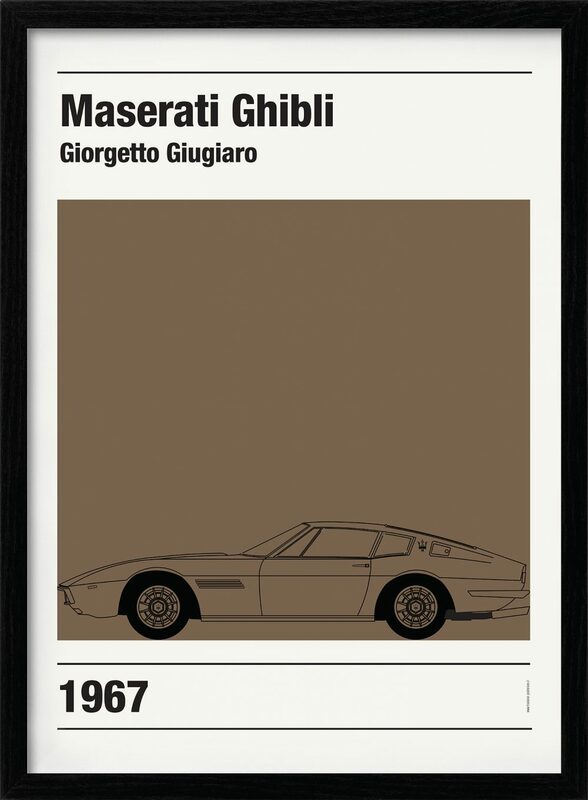 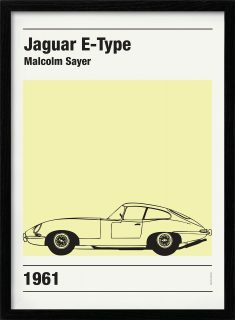 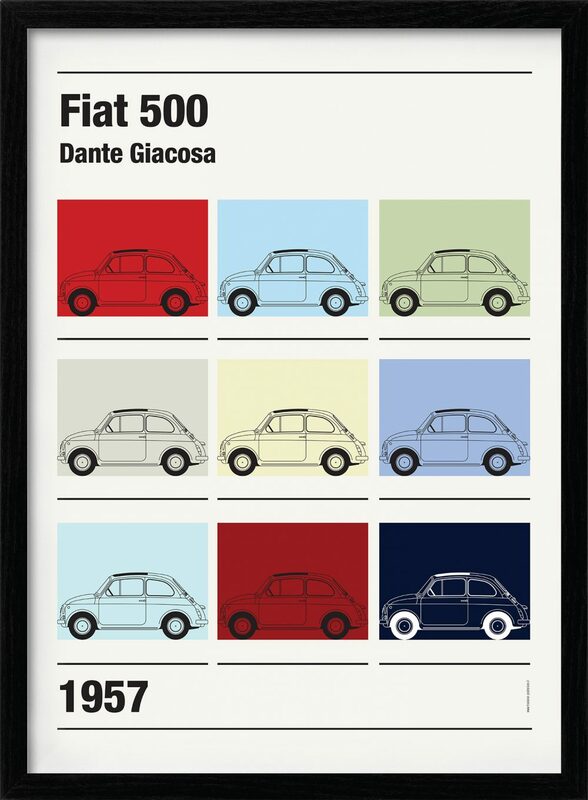 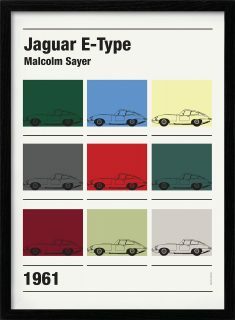 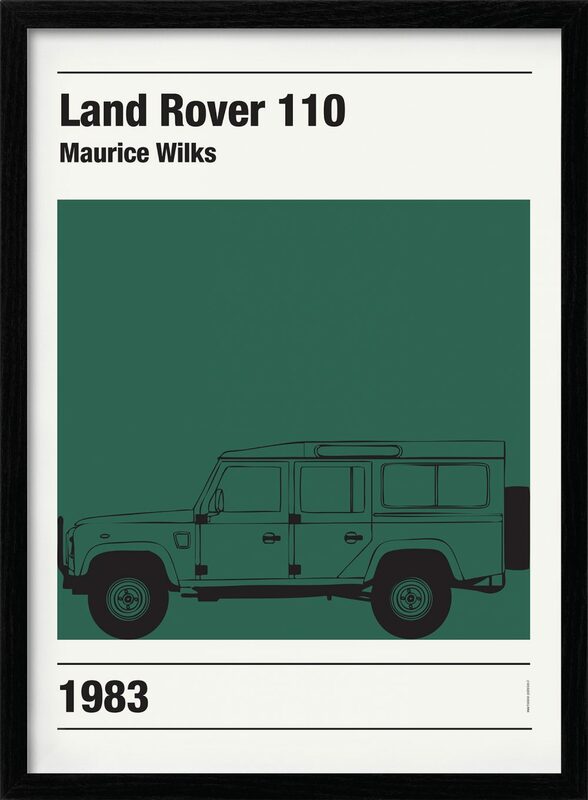 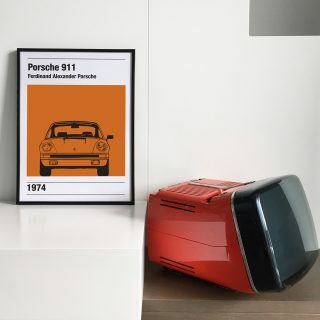 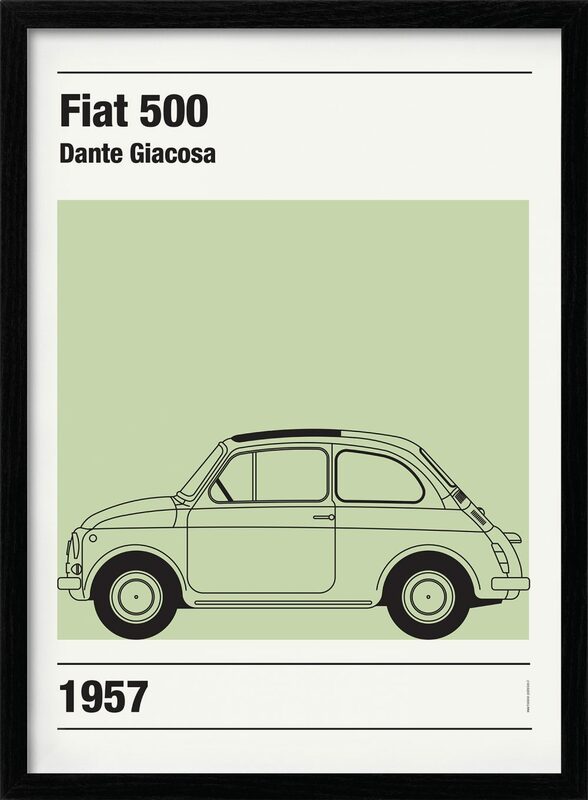 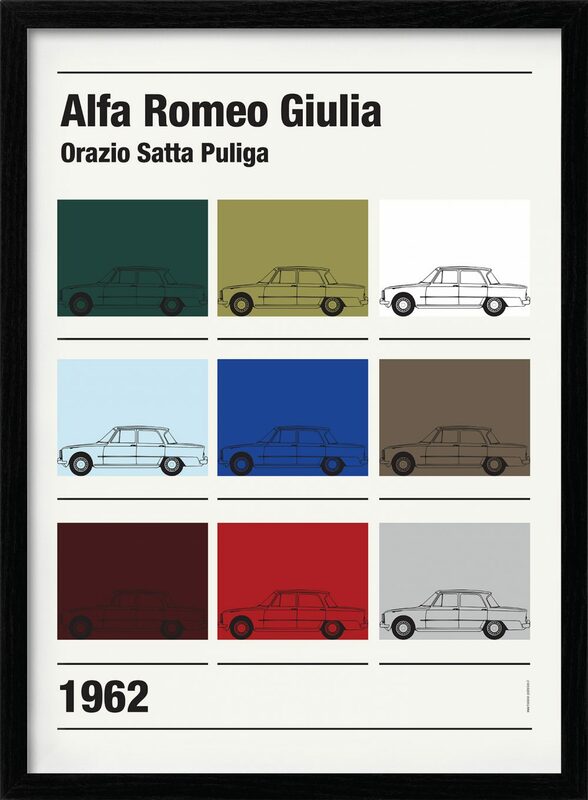 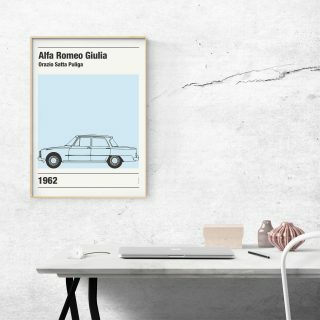 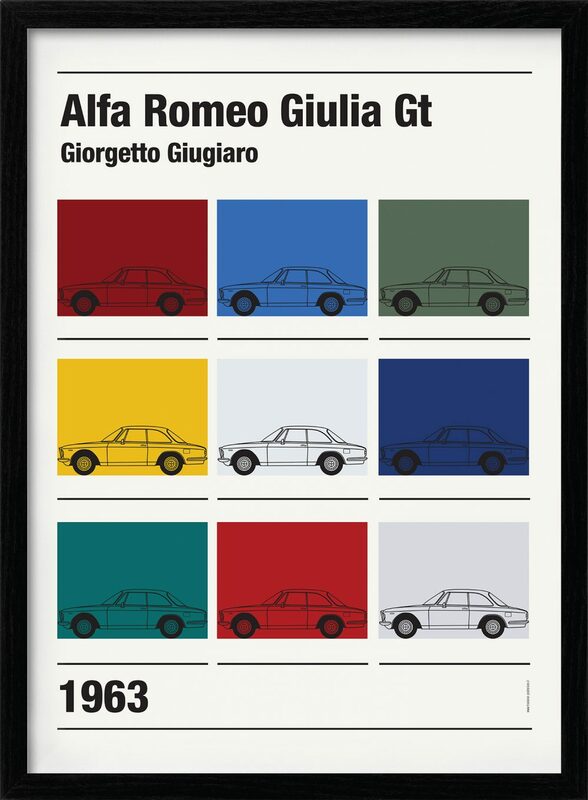 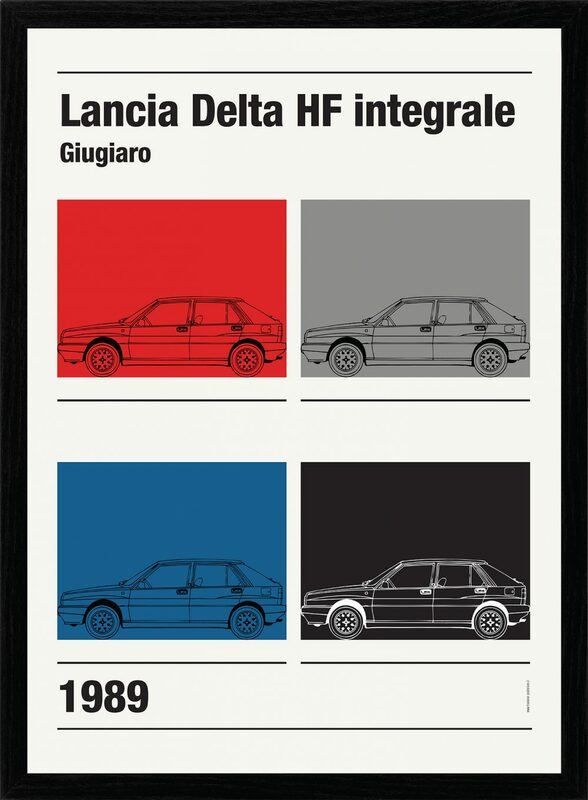 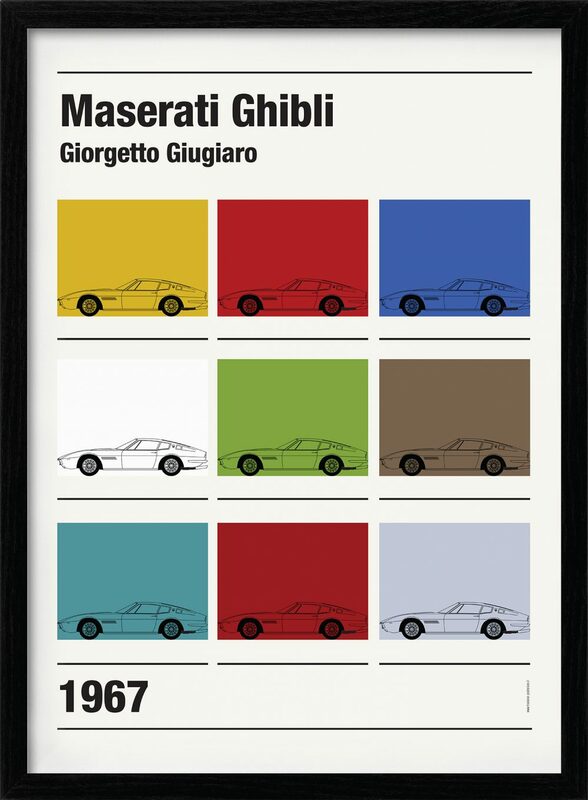 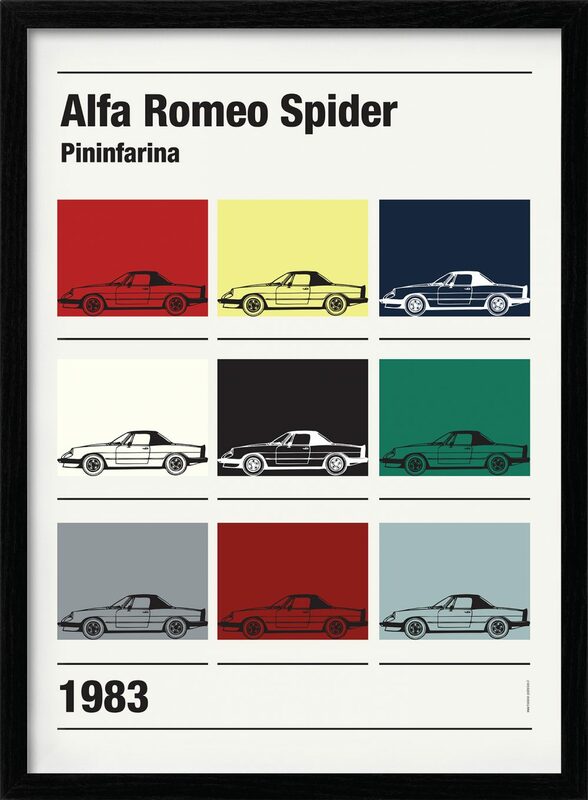 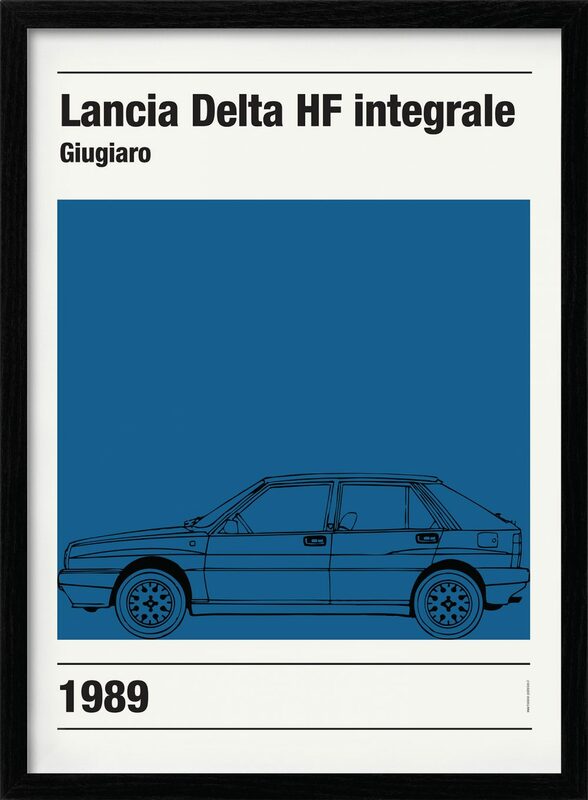 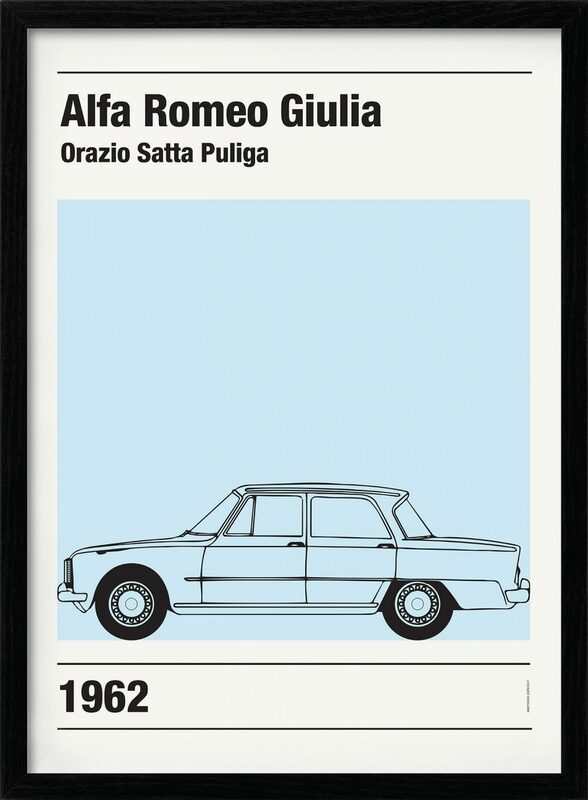 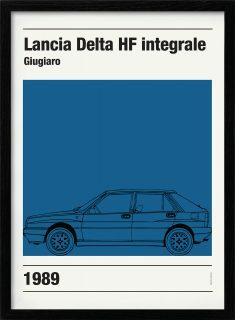 The creator of these posters, the Italian graphic designer Luca Bossi, had a clear goal from the outset: make stylish representations of the cars he loved, present them in a simple format, and give due credit to their place in history. 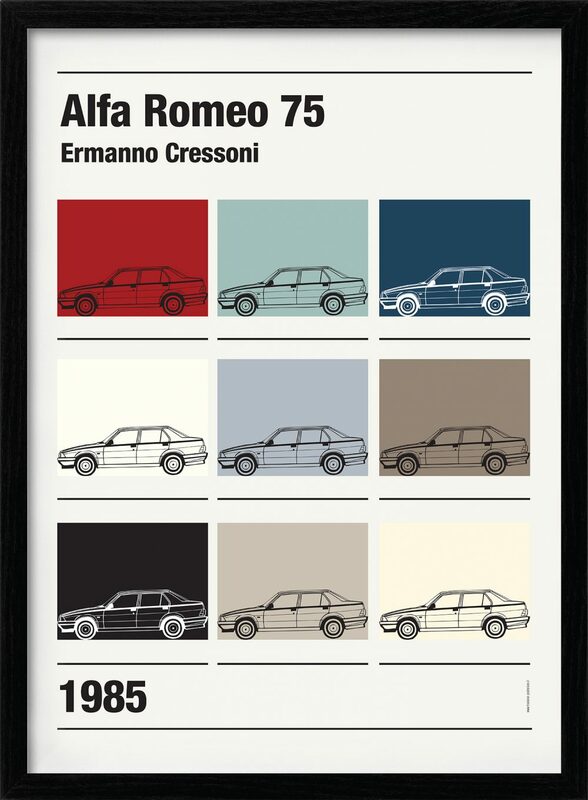 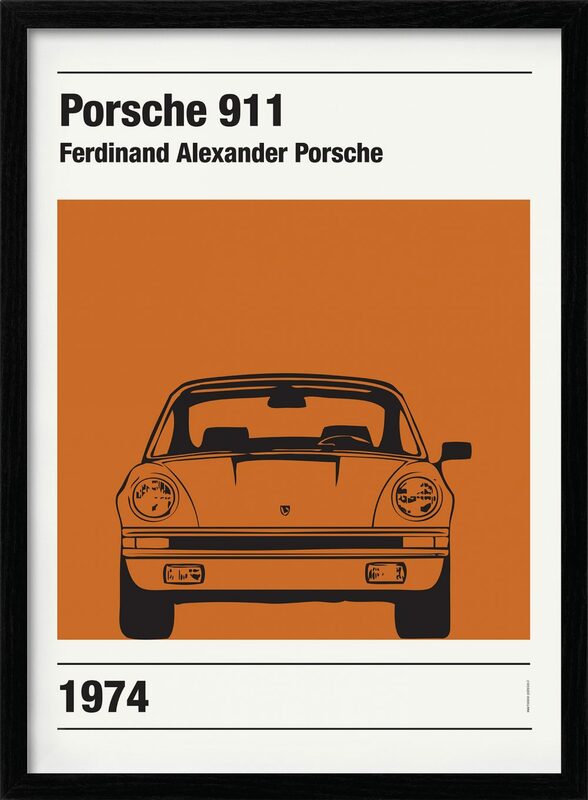 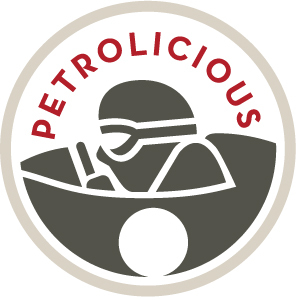 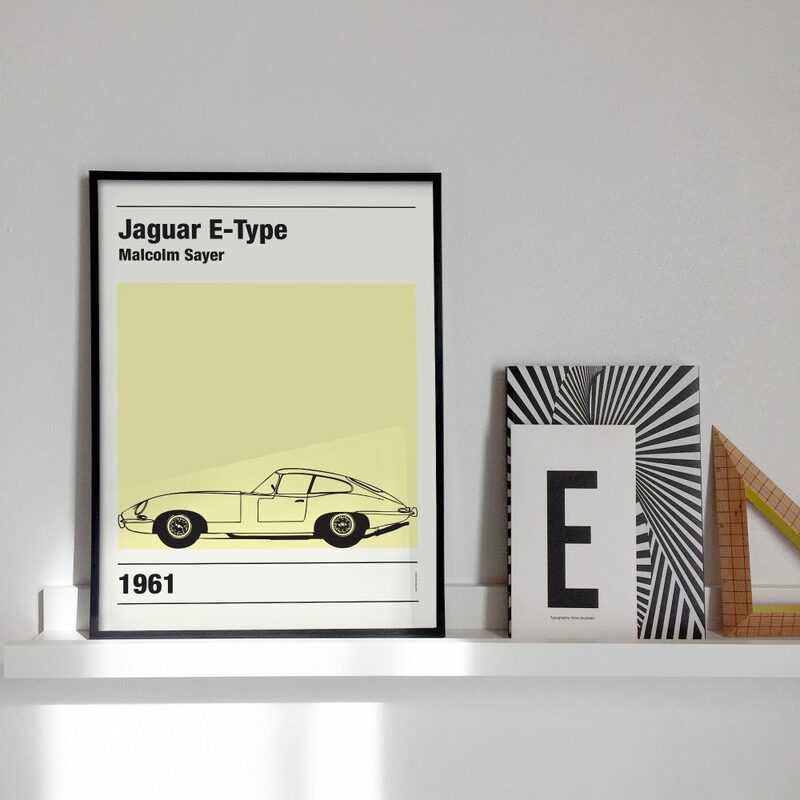 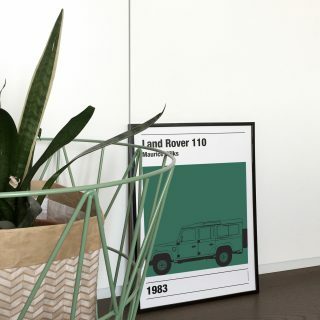 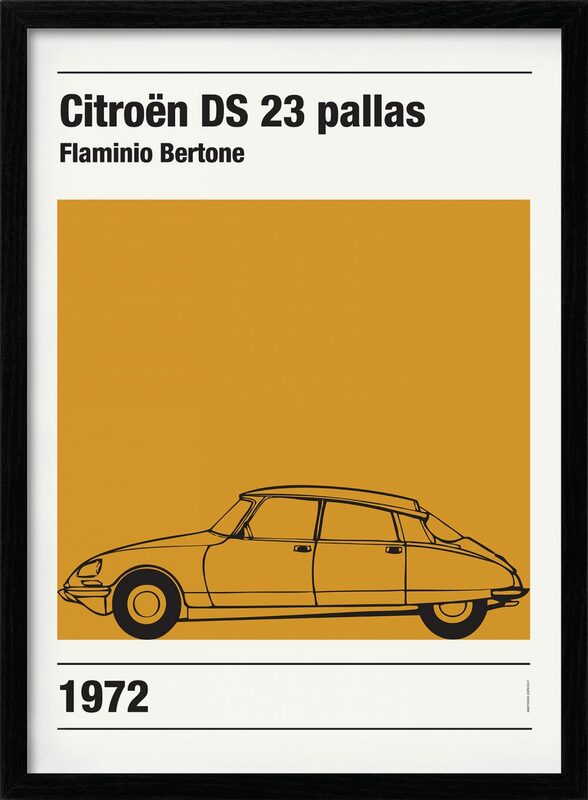 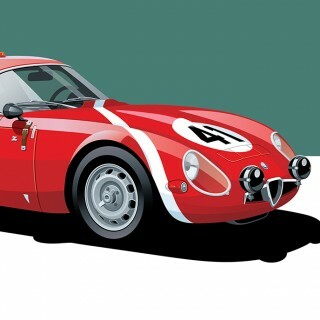 His collection is called Trazione Posteriore, and while you can find more detailed pieces of vintage car art out there, these posters are some of the best examples of understated homage we’ve come across. 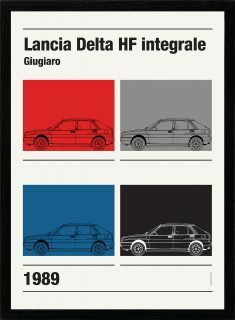 If they seem like stylized versions of paint chips that you’d find at most car dealerships, you’re on the right track. 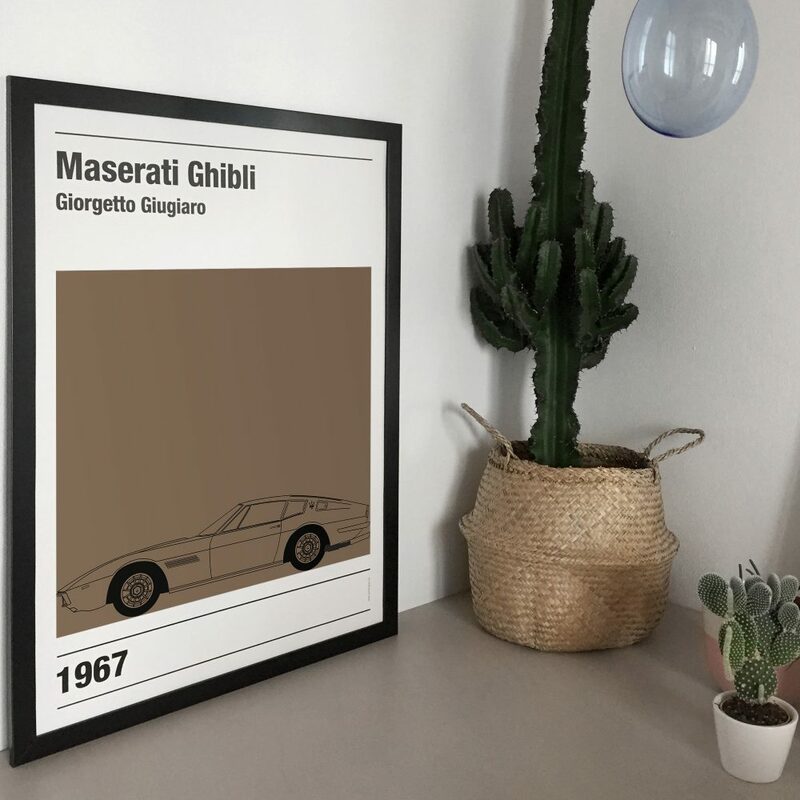 Each piece features the car’s outline drawn by Bossi and just a few details: the name of the car, the name of the designer, and the year of the model depicted. 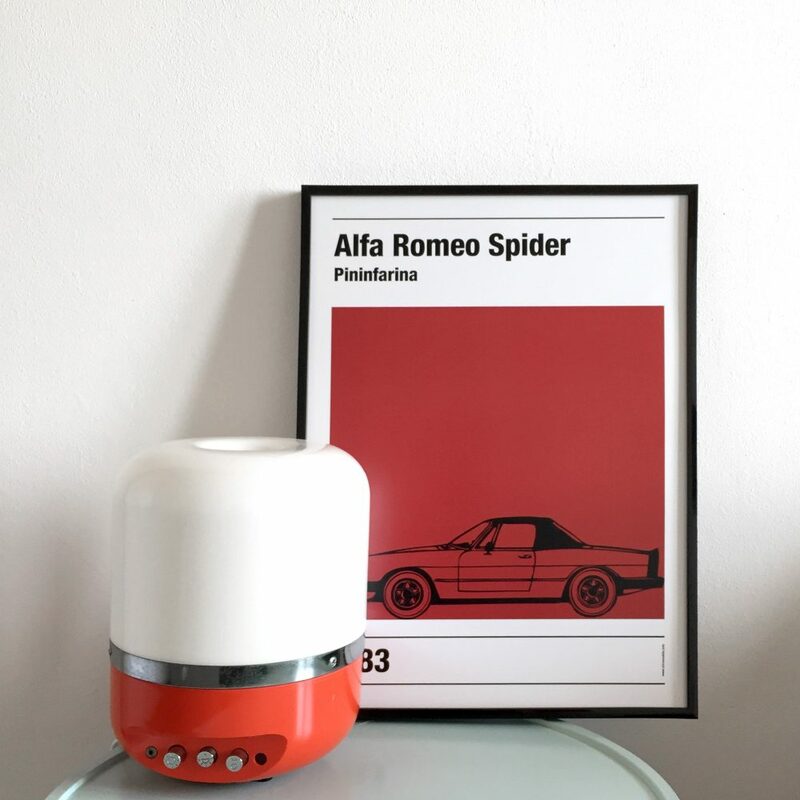 No new information, no new views, but in putting together the essential elements with a reserved touch of color (which are selected in this case from the available OEM paint options during these model years), Bossi’s work turns the basics into the beautiful. 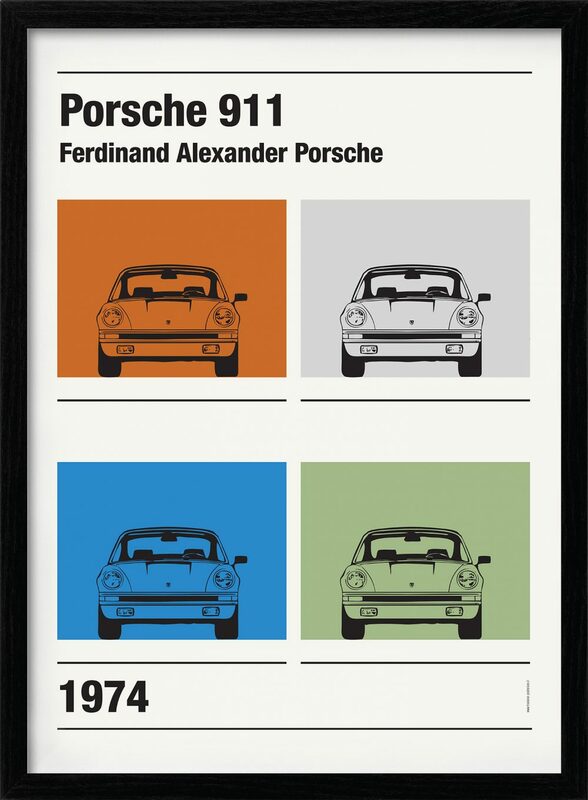 You get the feeling that you’re looking at pages of old sales brochures, and there’s also a pop art aspect present in the multi-colored posters and in the mixing and matching of the rest. 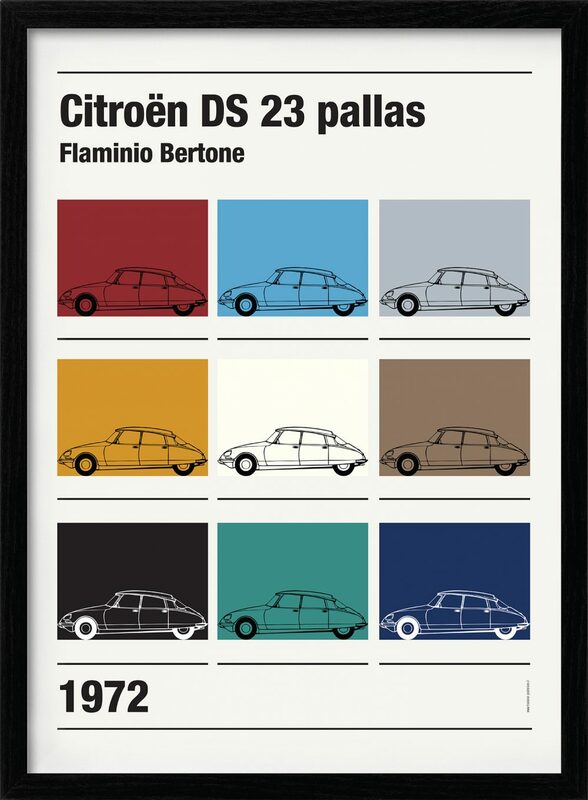 Think of it was Warhol’s soup cans but with something a bit yummier than chicken noodle for the subject. 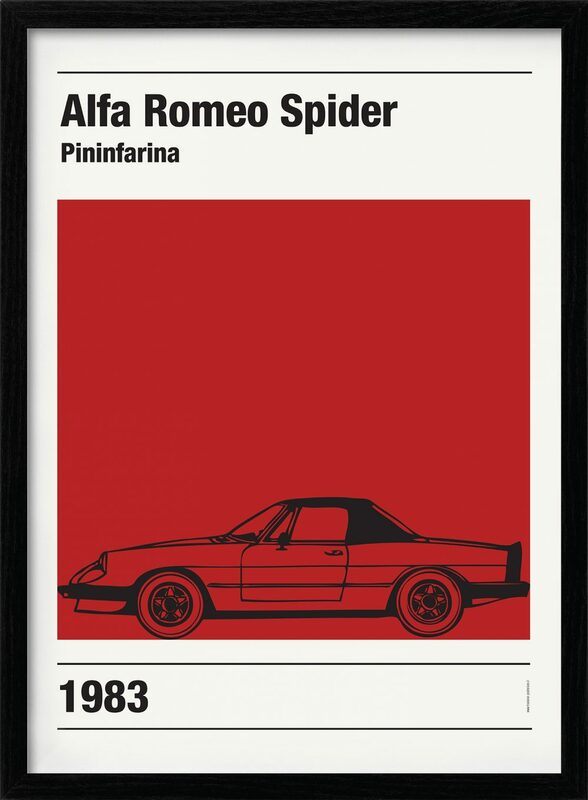 Too bad he used the ugliest form of the AR spider. 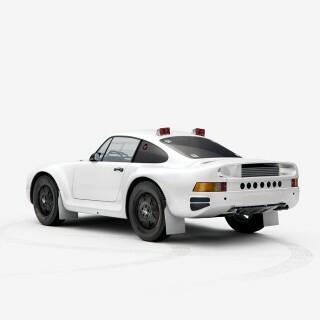 Should’ve been a 67-69 roundtail!